If you want take classes on a Spanish campus (in Spanish) with Spanish and international students, Syracuse Madrid offers a direct enrollment program for students. This option is designed for students with advanced Spanish language proficiency (SPA 302 or the equivalent of four semesters of Spanish) who want to do some of their coursework in Spanish at UAM combined with courses at Syracuse Madrid Center. 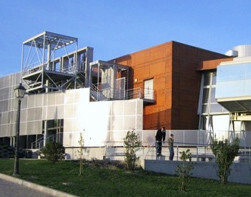 Many students select one to three courses at UAM and their other classes at the SU Madrid Center.